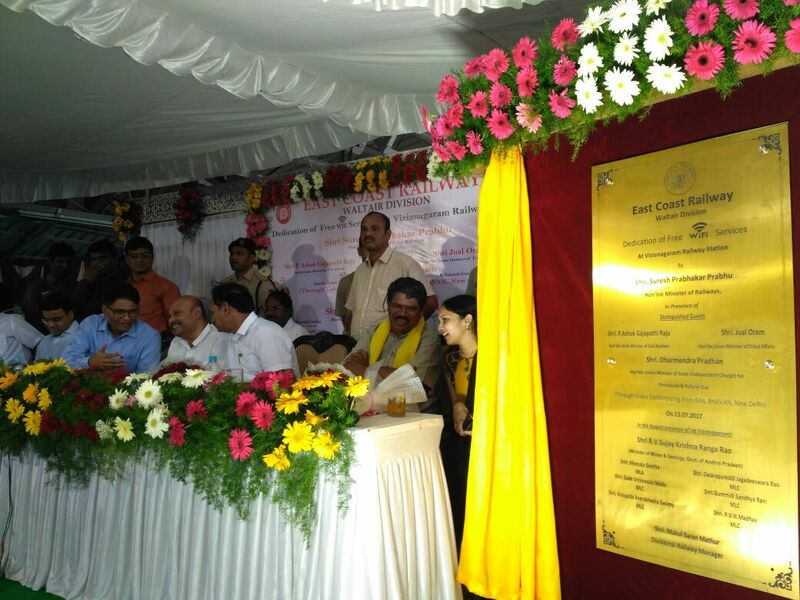 Vizianagaram: Railway Minister Suresh Prabhu launched “High Speed Wi-Fi” facility at Vizianagaram Railway Station of Waltair Division of East Coast Railway through video conferencing from Rail Bhavan, New Delhi. Designed to offer passengers seamless internet experience, Wi-Fi will be available to any user who has a smart phone. Under the Digital India programme, Railways provided High speed WiFi at 127 busiest stations by the last year-end. Railtel, a Railways PSU, in collaboration with Google is providing free Wi-Fi service at railway stations. The services rolled out at 400 stations across the country covering all major rail premises.